Su AVH http://avherald.com/h?article=4c497c3c&opt=0 hanno pubblicato un aggiornamento interessante sulle indagini. Quindi conferma il fatto che nel video si veda un tentativo di richiamata, congruente con un pitch che passa da -49° a -20°. Interpreto male io quel che è scritto da NTSB e riportato da AvH o sembra che l’aereo sia stato condotto intenzionalmente in picchiata? Also, about this time, the FDR data indicated that some small vertical accelerations consistent with the airplane entering turbulence. Shortly after, when the airplane’s indicated airspeed was steady about 230 knots, the engines increased to maximum thrust, and the airplane pitch increased to about 4° nose up. The airplane then pitched nose down over the next 18 seconds to about 49° in response to nose-down elevator deflection. (Editorial Note: the sentence originally read: "and then rapidly pitched nose down to about 49° in response to column input." and was later edited by the NTSB). The stall warning (stick shaker) did not activate. Voci che girano senza garanzia di veridicità. Bert Botta è un ex pilota TWA che ha concluso poi la carriera come pilota di jet privati. During the approach, at about 6,000 FT (being flown by the first officer), the Captain reached around the throttle quadrant to extend the flaps to the next position after being called to do so by the first officer (pilot flying)… very normal. In many aircraft including the 767, that’s a very odd/difficult repositioning of your hand (from the left seat, all the way around to the right side of the center console), and requires intimate familiarity and slow deliberate motion to do successfully. Well in any case, it was not done so this time. 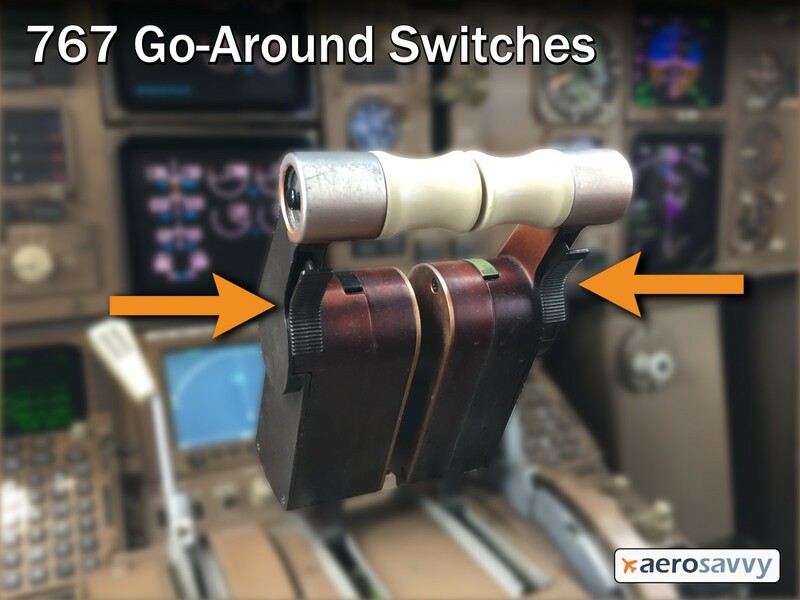 The captain accidently hit the “go around” switch while bringing his hand around for the flaps, which brought both engines up to full power. In the landing configuration, as this aircraft was transitioning into, that obviously causes a vast increase in lift… and the first officer (pilot flying) used everything he had to force the nose back down. Still not sure why that occurred, as the crew should have just “gone around” and tried it again when properly configured… but they did not. And that started in motion a chain of events that lead to tragedy. As the First Officer over-rotated downward, again with the engines at full power, the aircraft quickly accelerated and approached something we’re all trained to handle (at least in good training environments)… an “upset recovery”, countered by NON-AUTOMATION and basic “stick and rudder skills”. This captain however, in turn, grabbed the controls without using positive command (“I’ve got”, “My aircraft”, or anything normally done), and countered the F/O’s control input by completely hauling his control column full aft… remember, while the F/O is pushing full forward. In the process of doing that, he broke the “shear pin” on his control column (a device/mechanical safety interlock used to separate a control column from the “innards” of the control architecture in the event one control column is doing something it should not)… and that occurred here. The captain, a few seconds later, now accelerating downward out of the control envelope of the 767 (remember, all of this started at 6000 FT and probably took less time to get to the fatal point than it did to read this far), recognizes the has no control column and then asks the F/O to pull up, get the nose up, or something to that affect. It isn’t 100% clear what he says. The F/O then tries to pull aft on his column (going from full forward to full aft), but isn’t getting the response he needs, because the aircraft is out of the envelope of controllability and the controls are “air-loaded” in position. At about 2000 FT, eventually the trim motors are able to start overcoming the air-load, and the aircraft begins to attempt to arrest its rate of descent… but alas it’s far too little, far too late, and the aircraft impacts about 30-40 degrees nose down, with what is believed to be about 4-5000 FT / minute rate of descent. All during this time the throttles aren’t touched until somewhere during that last few seconds of flight… which is believed to be what enabled the trim motors to start working. Unclear who does it, and no audio indicates who it was. Just FYI… we’ve attempted in our 767 simulators to recover from the event with the exact same setup, and thus far we’ve only had success when starting at 8000’ or higher… meaning we are fully established in the “out of control” position at 8000’, recognize it by then, and initiate recovery starting at 8000’. These guys started the whole thing at 6000’ and were much lower when a true recovery attempt was initiated. No chance, and just shows you how quickly you can get “out of the envelope” when you don’t follow procedure, try some completely erroneous recovery technique, and don’t have a clue what you’re doing. So many things went wrong with crew coordination, basic flying skills, aircraft envelope awareness, basic procedures, and such… that this will likely go down as one of the absolute worst “pilot error” events ever. It needs to have serious impact throughout the Amazon flying circus (and associated partnerships), and show people that Jeff Bezos’ attempt to push the envelope at lower cost, all things else be damned, doesn’t apply to aviation. This accident no doubt was absolutely horrible, and three people lost their lives…one of them (the jumpseater) through absolutely no fault of his own. But making an approach into Houston, TX, it could have been so much worse. In another few miles, they would have been over major population centers and who knows what would have happened then. Know your aircraft. Know your procedures. And for God sakes, just FLY! It’s not a video game! Credo sia utile poter visualizzare i pulsanti TOGA del 767 per capire come possa essere successo.